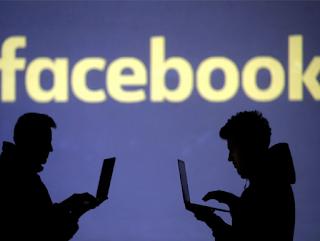 NEW YORK: When it comes to quitting Facebook, users will need $1,000 (nearly Rs 70,000) on average to deactivate their accounts for one year, say researchers who performed real-life auctions to get to this figure. Using a series of auctions, in which people were actually paid to close their accounts for as little as one day or as long as one year, the researchers found that Facebook users would require an average of more than $1,000 to deactivate their account for one year. "We know people must derive tremendous value from Facebook or they wouldn't spend millions of hours on the site every day. The challenge is how to put a dollar value on a service people don't pay for," said study's first author Jay Corrigan, Professor of Economics at Ohio-based Kenyon College. Facebook, with more than 2.2 billion global users, is among the social media websites that provide access at no cost, so the auctions created by the research team posed the question in reverse as to what amount of money would you require to give up your Facebook account for some fixed period of time, ranging from one day to one year? The work began as independent efforts by two teams -- Saleem Alhabash at Michigan State University and Sean B. Cash at Tufts University and Corrigan at Kenyon College with Matthew Rousu of Susquehanna University. In total, the researchers ran three actual auctions. Winners were paid upon proof that their membership was deactivated for the set period of time. Considering linking your Instagram account to your Facebook account? Wondering if that’s even possible? Yes, it is. Read on to find out how you can link your Instagram account Facebook account. Instagram and Facebook are more or less two peas in the same pod. This notion is conceived from the fact that they share a connection which is non existent between other social media platforms. Although Twitter allows Instagram posts to be published as web links, this doesn’t begin to compare to Instagram contents Facebook allows. Let me break it down; Facebook allows Instagram images to be shared straight from an application which enables photo-sharing to your Facebook timeline and the News Feed. This shouldn’t come as a surprise, I mean both Facebook and Instagram share the same owner. As was earlier stated, linking Instagram to Facebook grants you the ability to share photos from your Instagram account to your Facebook account. In all honesty, we all enjoy getting lots of likes on Instagram and pretty much every other social media platform. Linking Instagram to Facebook increases your chances of getting likes. Also, the interest of friends or even a wider audience is piqued to the original source of every image or video you share from one platform to the other. Apart from gaining more exposure, cross-posting could allow your Facebook contacts that aren’t on Instagram to keep up with your activity there. Also, because of the smooth integration between the two, Instagram post details-including captions, will be shared to Facebook, together with any location data, hashtags and emojis you’ve added. Uploads will be saved to Facebook in a folder titled “Instagram photos”. This allows you to easily tag your friends on the social network. The procedure which enables you to link Instagram to Facebook on iOS and android devices would be exactly the same except for one small difference. For this reason, the steps for both Operating Systems will not be stated separately. However, the trivial difference will be highlighted. Tap the profile icon. This should take you to the profile tab. The profile icon is person-shaped and is at the bottom right corner of the Instagram page. Tap the gear-looking icon on the top right corner (this icon appears only for iPhone users). For Android users, three vertically oriented dots is observed instead in the top right corner. This serves the same purpose as the gear icon on iPhones. This action should take you to a page with several subheadings. Click Linked Accounts under the “Settings” subheading. A list of social media platforms with an integration ability with Instagram is displayed. Click Facebook. This will take you to a Facebook login page, still on Instagram. 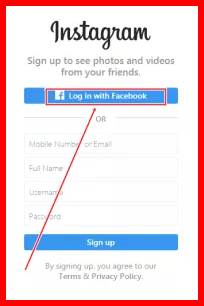 Enter your Facebook login details. This will log you into your Facebook account from within Instagram. Note that you’ll be given an option to open Facebook via the Facebook application also. Once you’re logged in, you’ll be asked to choose who will be able to view your photos. The following options are available; Public, Friends, Friends except acquaintance, Only Me and Acquaintance. Choose the option which best suits your needs and click the “OK” button. This will take you back to the page which contains a list of social media platforms you’re allowed to link with Instagram. You’ll notice the Facebook icon has turned blue, indicating you’re now sharing your posts on Facebook. By default, your Instagram posts will be shared on your Facebook timeline. After completing these steps, you’ll be able to share your Instagram posts to Facebook. However after creating the link, it is possible to share old posts. A pop up menu appears with several options. The post will be shared to your Facebook account. Want to cut the link between Instagram and Facebook? The link between the two platforms can be cut off at anytime. If you decide to do so, follow the steps below. A list of options will come up. A list of social media platforms linked with your Facebook account is displayed. You’ll then be asked again if you wish to remove the app or cancel the process. To confirm your decision, click the Remove button. Instagram Account Login: Sign into your Instagram Account Facebook – One of the biggest socials media worldwide, Instagram is developed to enable users share images and also video clips openly or privately. 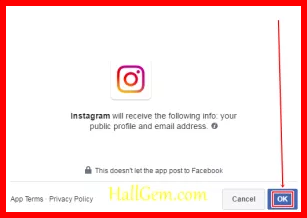 Instagram Login is a very easy process, and you ought to recognise that you can also finish Instagram login with Facebook. 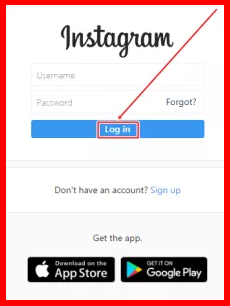 There are some Instagram login concerns that might emerge, its option as well as even more will likewise be discussed below. You previous email might have been compromised. 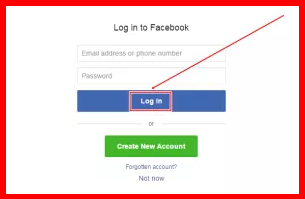 Here is how to change your email address on Facebook social network. You can search for friends by their mobile number, email or name. For example, if your friend’s home town is Mumbai, you can enter Mumbai for Hometown. Now you’ll see people who come from Mumbai. If your friend attended University of Delhi, you can also enter University of Delhi for College or University. Now you’ll see people from Mumbai who also studied at University of Delhi. Note: when you search for friends by their networks, some people may not show up, depending on their privacy settings. For example, if someone chooses the Only Me privacy setting for their hometown, they won’t show up if you search for their hometown. Publicly displaying your personally phone number on facebook is not a great idea. Here is a quick way to remove phone number on Facebook. https://www.facebook.com/help/contact/228813257197480Note: A proof of death is required.